This ladderback chair emanates rustic charm with a distressed two-tone finish and a simple, clean design. 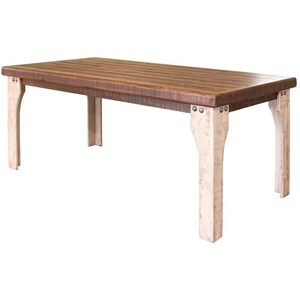 The straight forward design has square fronts legs and slightly curving back legs. The seat of the chair is upholstered with durable microfiber. The 965 Rustic Ladderback Chair with Upholstered Seat by International Furniture Direct at VanDrie Home Furnishings in the Cadillac, Traverse City, Big Rapids, Houghton Lake and Northern Michigan area. Product availability may vary. Contact us for the most current availability on this product. 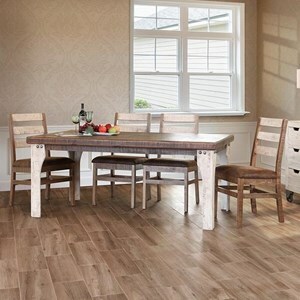 The 965 collection is a great option if you are looking for Rustic furniture in the Cadillac, Traverse City, Big Rapids, Houghton Lake and Northern Michigan area. 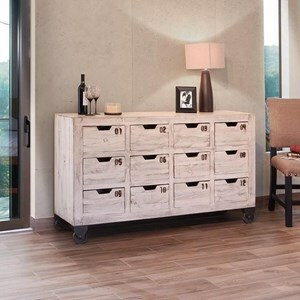 Browse other items in the 965 collection from VanDrie Home Furnishings in the Cadillac, Traverse City, Big Rapids, Houghton Lake and Northern Michigan area.